Real Weddings Real Style Real Food Real Life Real Love Heart. Love. Weddings. Below you will find the usual order for introductions of the Bridal Party. Please list the names in the order of their introduction. Please print or type a phonetic pronunciation where applicable. Thank you. Just a few quick questions is assist us in organizing your introductions. Below is a menu of the most popular wedding reception highlights. Please choose the events you would like to take place during your reception. Estimating the timing of events at your Wedding Reception can be tricky without the proper help. This information sheet is intended to guide you through the entire timeline process. Please note all times indicated on this sheet are merely estimates and the exact timing of events at your Wedding Reception may vary based on many factors. This information will, however, help you make an informed decision while planning your Reception. Your guests may begin to arrive as soon as Your Wedding Ceremony has completed and will be patiently waiting for your arrival which may be delayed due to photographs and/or a limousine ride. 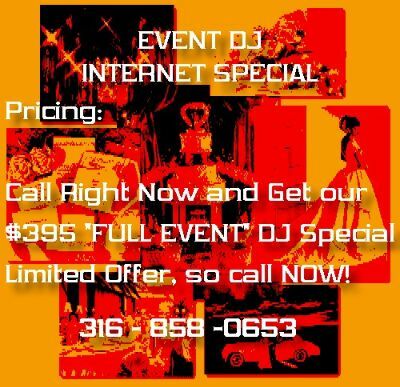 Your DJ, is aware of this and will make any necessary announcements, leading up to your arrival. Cocktail and dinner music will be playing in the background as your guests arrive to promote a formal atmosphere. Your introduction includes the announcement of your parents, bridesmaids, groomsmen, flower girl, ring bearer, best man, maid/matron of honor and of course yourselves. In addition to this, it takes a few minutes to get the bridal party assembled and in order. We strongly recommend, the introduction moves directly into your first dance and it is in this case you should allow for more time. We recommend following this order of events as it guarantees your first dance takes place while you and your bridal party are still looking great! your wedding reception. It also allows the wait staff to cut and serve the cake directly after the meal has been served. A Best Man toast followed by a blessing for the meal generally takes about 5 minutes, but this may increase with the addition of a toast by the Maid/Matron of Honor or other guest. The time will vary depending on your decision to include one or both of these dances. Figure five minutes for one, ten minutes for both. We recommend the throwing of the Bouquet and Garter be limited to anyone 16 years of age and older. This ensures each of the traditional events involved in this fun can be carried out. The time depends on the number of guests that participate in this event. This is a simple example of a Wedding Reception Timeline which will give you an idea as to the amount of time each event may take. These times will vary according to your event, and are never carved in stone if you wish to change them after your initial decision. Remember, this is only a sample and is not how you have organized your Wedding Reception. We are dedicated to making your Wedding, the most special day of your lives, and will be happy to accommodate any modifications you wish to make, to any part of this planner and order of events. 5:10pm Everyone have fun and Celebrate!!!!! Have a great time planning your Wedding Reception and feel free to call us with any questions that you may have regarding this planner or any part of your special day! Please choose one of the three suggested Reception Itineraries, based on your specific needs, and fill in the times on the lines provided next to each event. If there is a buffet being served, the DJ will announce the order in which the tables will be served starting with the head table. Please keep in mind the secret to any Wedding Reception is to have the events move right along. This planner will help us to do just that. __________ Bride tosses her bouquet, then the Groom removes the Brides garter. Garter places it on the lady who caught the bouquet. 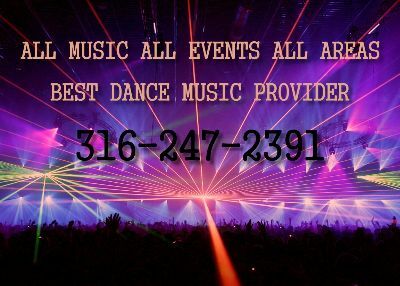 Please check the types of dance music you believe your guests would enjoy during your event. We do have several thousand song titles available for each wedding reception. However, we do not claim to have every song title. If you come across a song title that you want, you can ask if we have it, or even supply the cd to us. All music supplied to the dj will be returned. You can list the song titles below that you want played during your reception. Every effort will be make to play each one. Additional requests may be written on a back of this form. Keep these ideas in mind for you and your guests, so that everyone has an enjoyable reception. 1. If you have assigned seating for dinner, seat your younger guests closer to the sound system. 2. If you have a large Bridal Party, consider dedicating a special dance to them. This will allow plenty of time for your photographer to get candid shots of the bridal party!!! 3. If you have any questions, whatever they may be, don't hesitate to call me. I will do my best to answer your concerns. 4. If there have been any changes to your starting time since our initial meeting, please contact me, so that I can make the appropriate arrangements. Thank you!! At what address will you reside at following your wedding. If this order of events meets with your approval, please fill out, sign and return as soon as possible. Any changes can be made either on this wedding planner or send a separate cover letter. Thank you for taking the time to read and fill out this form. It will help us create a highly organized atmosphere at your Wedding Reception. In the coming weeks, I look forward to meeting, and working with you.